Step up her look with the Balmain Kids™ Sleeveless Knit Striped Dress. Stripe print throughout with branded trim. 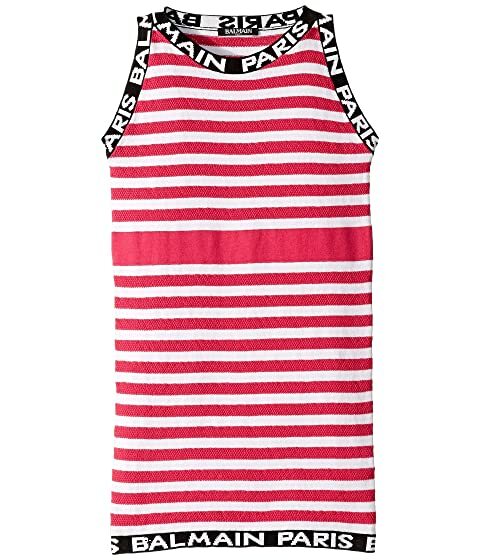 We can't currently find any similar items for the Sleeveless Knit Striped Dress (Big Kids) by Balmain Kids. Sorry!